The Danish Ornithological Society has calculated that there are only approximately 20 pairs of little owls left in Denmark, the smallest number since the 1970s. The bird, with the Latin name Athene noctua, is relatively common throughout Europe. But in Denmark, the population has been declining because of the destruction of its habitat; they need areas with relatively short grass to hunt, as well as suitable building to roost in. The owls eat large insects, worms, mice, frogs and small birds, which they catch on the ground. Research has shown that the Danish owls tend to look for food around the buildings in which they live and breed. The Danish Ornithological Society has been co-operating with Agri Nord on a project to save the nocturnal predators. “Something that has been high on the list and recommended by Danish researchers is to feed them with day-old chickens. When there is ample food, then the owls produce more young,” Michael Palsgaard Andersen, project leader at Agri Nord, told DR Nyheder. As well as trying to attract the owls with chicken, 50 nesting boxes have been put up, but that is not enough, says Frank Skaarup, a volunteer on the project which has existed since 2009. According to Skaarup, it is important to secure the future of the little owl in order to maintain biodiversity. However, Klaus Dichmann, chairman of the ornithological society’s owl group is a little more optimistic. Last year he was visited by three German owl experts from Schleswig-Holstein, which has managed to maintain a stable population of around 60 pairs. Their report concluded that there is still a chance for the Danish owls if there is a targeted campaign of putting nesting boxes up near farmhouses suited to the owls. “There’s not enough food for the owls where there is effective farming. However, in Himmerland, many people are moving from the towns out into the country and into disused farmsteads, where they become part-time farmers with horses, sheep or cattle in enclosures around the farm buildings. That’s exactly the sort of farming which gives a varied diet for little owls,” Dichmann says. 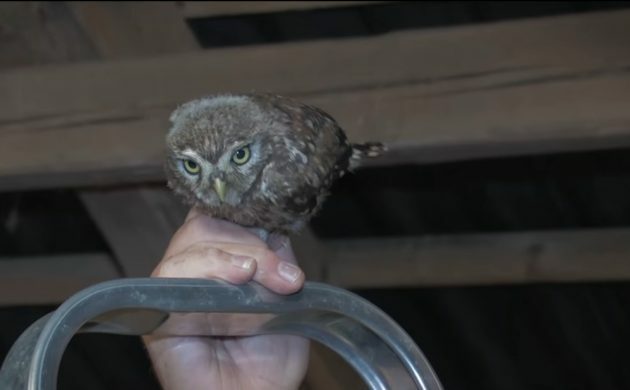 Click on the video link below to see a short film on the Danish Ornithological Society’s efforts to help the little owl (in Danish).